I was in a foreign country. I was sick. And I didn’t know what was wrong. The doctors didn’t either. One told me so. “I have no idea what is wrong with you.” He even said it in English to make sure I would understand. I had to hand it to him. He was honest. More honest than the other three I’d seen, who just juggled me around like a hot potato and told me to wait until I got better. That lasted three months, during all of which I worked. I was awfully nice and happy during my lessons, receiving only a few comments like “you look tired.” To those I would smile and invent some BS about not getting enough sleep. (Which was true.) Then I went back to my office and let my head slam on my desk like an airy lump of bread stitched to my shoulders. I felt terrible, and no one seemed to know why. 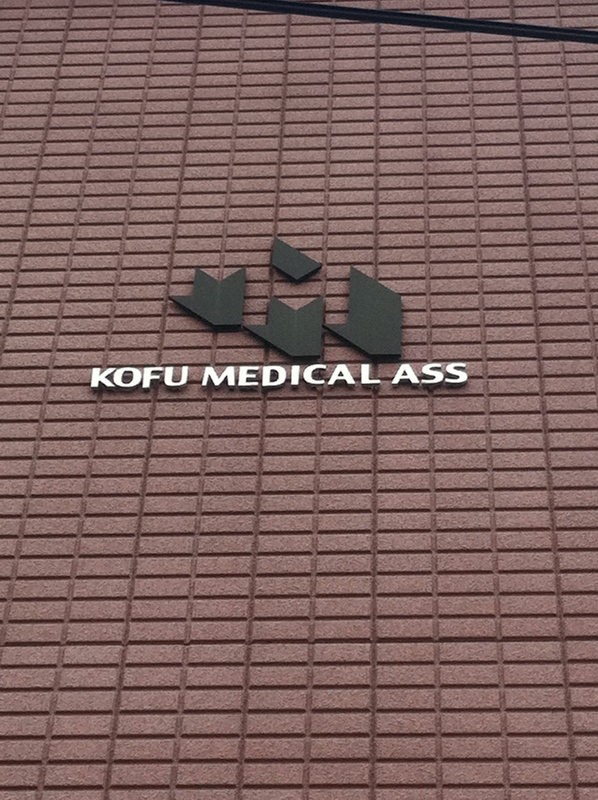 So I found another doctor, one that spoke very good English. He was also the biggest jackass in Yamanashi. This doctor had a habit of laughing condescendingly at me, like he knew some inside joke and kept forgetting I wasn’t in on it. I hated him. But he was the only doctor in the city with a good command of English. “Just wait. It’ll get better,” he said with another charming chuckle. “Why are you laughing?” I snapped. I’d lost my temper, but it had seemed like a good time to do so. Sometimes that’s the best thing you can do, all you can do to get some people to do their jobs. He cut an abrupt cough and adjusted his doctorly white coat. “Well, maybe you should see a dentist. Sometimes dental problems can cause pain in your neck area. If you have a tooth infection, that might explain it. A new dentist’s office had just opened up near the station. It had a nice, modern sign, which was enough to make me think it would be good. The next day I go and make an appointment. I return later that week and the receptionist hands me a form. I stare blankly at the kanji, then back up to her. She’s horrified. She thinks I can’t speak Japanese. I will never completely understand why that terrifies some Japanese people. Upsets? Sure. Frustrates? Most certainly, but frightens–truly frightens them into blank, fishlike staring. I’ll never get that. But I’ve learned to accept it as a part of life here. “Ah, so.” And then everything was okay. Very little accent. And he didn’t ask “are you American?” just “you American?” That’s a very good sign. Clearly I’m dealing with a professional. I give him my dental history and he fills out the form for me, chit-chatting with the best English I’ve heard from any Japanese speaker to date. I tell him my story. It’s my first year in Japan. I’ve been sick for three months. There’s pressure in my neck and I feel like a zombie. I have a sore throat that won’t go away. I’ve been to several doctors and none can tell me what’s wrong. One doesn’t seem to care very much either. That’s okay. Anything is okay, so long as he can find out what’s wrong. He takes his X-ray then shows it to me. As I look at my jaw I can’t help but think how we really look like monsters inside. I’d recently seen the skull of a child with it’s adult teeth still inside the jaw on the internet. It looked like some kind of baby Predator. I sigh. I wanted a problem, something to explain why I’d been feeling like death. I understood. I knew it because I did the absolute worst thing a sick person could possibly do when they’re sick–I consulted the internet. According to it, I had aids and cancer, and possibly a rare type of hepatitis. One of the symptoms of cancer had been malaise without a fever and swollen lymph nodes, which one doctor said I had but the others said I didn’t. Swollen lymph nodes had also been a symptom of AIDS, so I might have had that too. Well, I couldn’t take any time off and I couldn’t relax, but this made sense. I’d had a similar problem with a different muscle group in college. I didn’t make me feel physically ill, but it hadn’t been in my neck either. And because I’d had this before, I knew how to deal with it. So I started doing the stretches and activities I knew, just changed them for my neck–and started getting better. I finally had an answer to my three month long illness. He was right. The dentist was right, where a handful of doctors had been wrong. All the medicine they fed me hadn’t worked because I hadn’t needed it. Medically speaking, I had just been freaking out. For three months I’d had a mystery illness. I’ve heard it said that sometimes knowing is worse than not knowing. I don’t believe that at all. Because when you don’t know, the truth is whatever your irrational fears can conjure up. And it’s usually something a lot worse than what’s really going on. Getting sick enough so you need to go to the hospital can be a terrifying thing when you live abroad. You don’t speak the language, and even if you do, you likely can’t speak doctor language. So when you’re sick abroad, sometimes you need to do some legwork to find that one doctor who can help you. It’s the last thing you feel like doing–if you’re even able to at all–but sometimes it’s the only way to get your answer. He diagnosed my pain–as pain. So I immediately asked for a referral to another doctor–one without his head up his derrière, and he was happy to give me one because he didn’t know what to do with me. I’d be someone else’s problem from then on. So I went to yet another doctor on this list I was forming. And this one, after two months of seeing other doctors, told me exactly what was wrong in five minutes. He knew because he had once had the exact same condition himself. He knew exactly what was wrong when three others couldn’t after months of tests. And that’s the piece of advice I would give you about doctors abroad. Remember that they’re just like doctors at home. When we’re abroad we feel an even stronger sense of dependency on doctors than we normally would in our home country, but that doesn’t mean that feeling is logical. Treat them just like you would a doctor back home, keeping in mind that there are others doctors and other options. Usually you’ll just be sent home with a few pills and that will be the end of it. Other times, it may take a while to find your answer. But it’s out there. Really, it is. That’s kind of scary. I want to go to Japan, so I am glad I have a nursing background! I hope you are feeling better. It took me awhile too to find a good chiropractor who can speak good English. Getting sick in a foreign country where majority of the doctors cannot speak English is not fun at all. There was a time when I almost got on a plane and just go home but I am glad I did not. Yeah, I thought about leaving at one point too, but just like you, I’m glad I stuck around.